These objects were found scattered near the location of the early airfield built at Evanton (see last month’s Find of the Month for bricks from the area). The airfield was built in 1922, and originally was used only twice a year, when the fleet was at Invergordon. It was originally known as Novar, or Newton of Novar, airfield. There are no remains which can be positively identified as from the airfield from the 1920s and early 1930s. 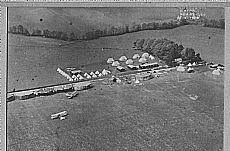 However, we have photographs of the period, showing that people and planes were mainly housed in tents. The few timber buildings which appear in these early photographs appear to be on stilts. 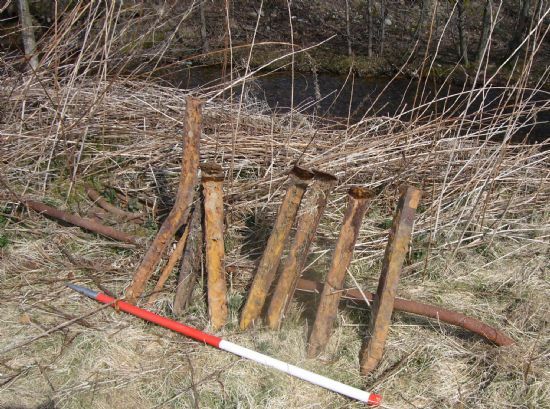 These rusting metal spikes are found mainly in the area of this early airfield. 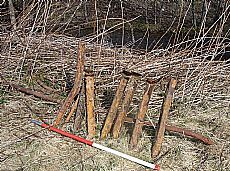 Were they pegs for anchoring down tents and the canvas and timber Besseneau hangars? Certainly heavy duty pegs would have been necessary. 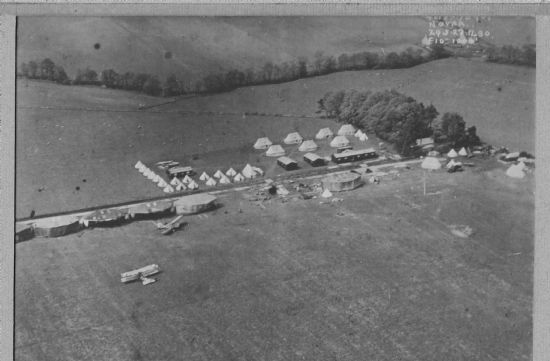 Photos of the early pre World War II camp at Evanton can be found on the Invergordon Archive, and at Alness Heritage Centre, as well as in Jim Hughes’ books Airfield Focus: Evanton and Steep Turn to the Stars. The photograph pictured above was originally in the possession of Mrs Dunnett, who gave it to the Evanton Oral History Project. 11 June: Alasdair Cameron reports that these would properly have been called 'pickets'. Similar ones designed to peg down marquees can still be purchased.